After a visit to Oronsay Priory during the Islay walking week the walkers are on their way back to Colonsay across the Strand. This walk can only be completed when the tide is right and needs to be planned carefully. 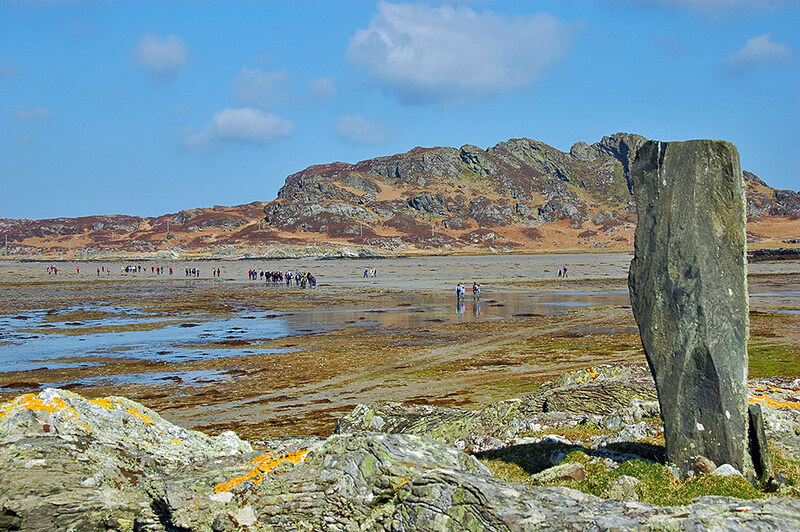 The excursion to Islay’s neighbour Colonsay is always popular during the Islay walking week, in particular if a walk across the Strand to Oronsay is on offer. Here the walkers are enjoying their lunch in the grounds of Oronsay Priory on a beautiful sunny April day.